I met multi-instrumental couple Evan and Marie this past spring, while stage-managing a bay area concert with Dirty Cello & The Dirty Symphony, and was pleasantly surprised to learn that they are now fellow Modestans. Twenty-year veterans of numerous symphony orchestras throughout the Salt Lake City area, the Maxfield clan relocated to our city not quite a year ago, where they quickly became plugged in with several musical projects in Stanislaus County as well as around the San Francisco Bay Area. They are soul mates in both life and music, performing together in most of the endeavors they find themselves part of. Evan studied trumpet music performance at Brigham Young and Southern Utah Universities. His mentors included Drs. Newell Daley and Steven Allen, as well as Dallin Nielsen. For many years Evan’s musical idol was Maynard Ferguson. Evan enjoys sharing his crystal clear, baroque sound with fellow musicians and audiences. He has performed as principal trumpet in Utah for Davis County Symphony, West Jordan Symphony, Salt Lake Pops Orchestra, and Wasatch Symphony; and has played in numerous other community bands and ensembles in Utah. He is also a vocalist, having played several lead roles in musical theater productions. Evan and Marie first met in early 2006 while performing with the Lake Bonneville Symphony in Brigham City, UT, and instantly hit it off, though it would be over five years before they officially became a couple. They exchanged vows in the summer of 2012. 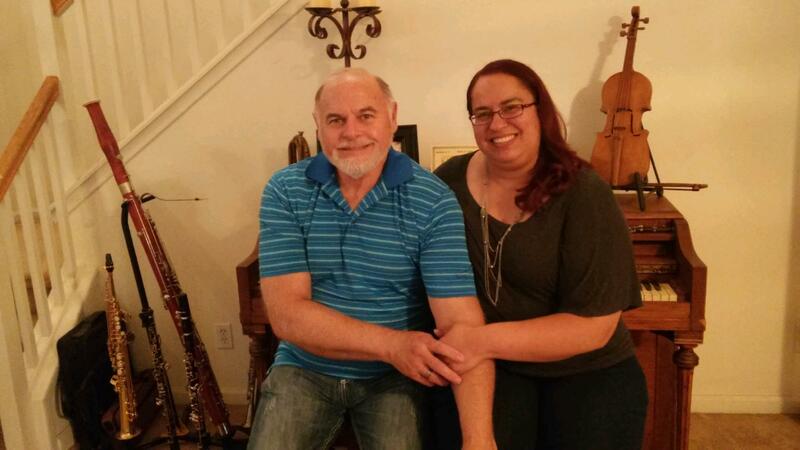 The pair have performed together in the Salt Lakes Pops Orchestra, West Jordan Symphony and many other organizations in Utah; and the MJC Orchestra, CSU Stanislaus Orchestra, Hallelujah Brass, Modesto Performing Arts and more since moving to California. They’re helping to bring up the next generation of musicians as well - three of their children play the violin, and the fourth rocks the cello and the piano. The Maxfields are destined to become one of Modesto’s great musical families. This month, Evan and Marie can be found among the orchestra for Modesto Performing Arts’ latest presentation ‘Guys And Dolls,’ in the Foster Family Theater at the Gallo Center For The Arts. Performances are on August 8, 14 and 15 at 7:30 PM; and August 9 & 16 at 2:00 PM.